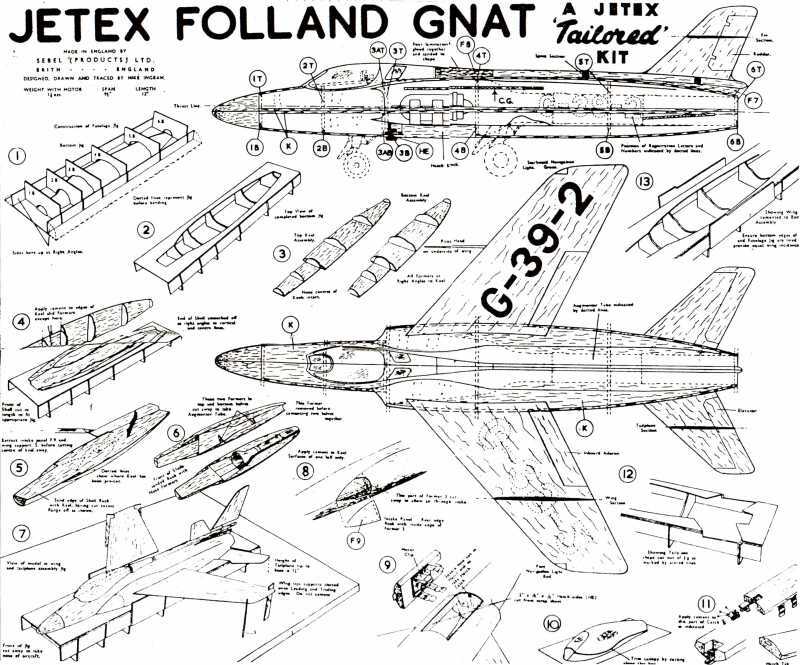 I have been experimenting with different methods to make really light fuselages from preformed balsa, and I recently found a Sebel Folland Gnat kit, which is an excellent object to study. The kit seems to be complete, except for one thing: the plan and building instructions are missing. Is there anyone that can help me with a copy of the plan so I can get the full picture of how it is supposed to come together? I've got the kit so in the next week I'll extract it and see what shape the plans and instructions are in so I can copy. The kit without the plan would be like trying to do it blindfold with a hand tied behind your back. I'll certainly look for you. I have seen the plans for the F-104 Starfighter, so I get the general idea, but there are obviously a lot of details that differs between the models, so your help is very much appreciated. 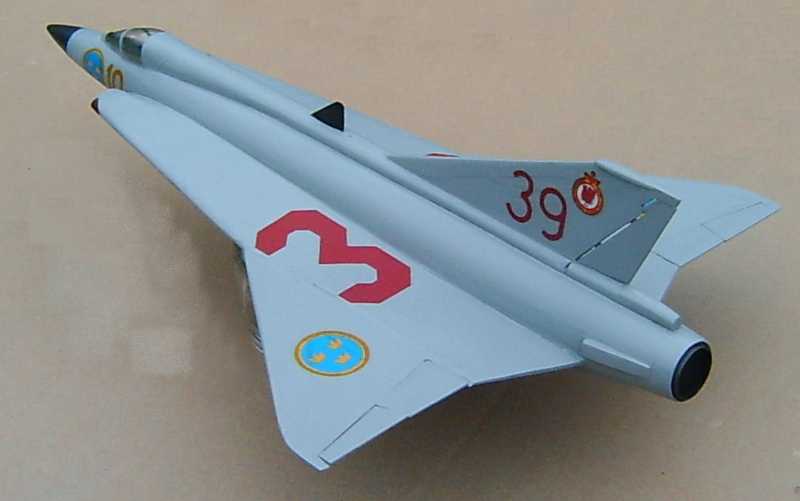 we would love to see photos and flight reports any model you make from this small 'Tailored' Mach 1 kit. They are very rare, and neither Andy nor I have seen a Tailored model make a successful flight . As to moulded fuselages, I will send you a copy of one of my articles which contains a 'How to do' it. It's a method which starts with very soft 1.5mm balsa wrapped around a male peg. Please keep us in informed of progress! It seems that part of the plan is missing, the building instructions ought to be on the right side, but now I understand a little more. I could never have guessed that the four balsa parts with a little slot were supports to give the wings it's dihedral. I also found an error in the kit: The numbers on the formers for the fuselage jigs are wrong. If you install the formers in that order you will get a very interestingly shaped fuselage. It might help to put the print on the other side. I have decided to build the model, it will probably not survive another 50 years in the box anyway, but also to try to make moulds to make a lighter version of the fuselage, so I guess I will start a new thread in the building section when I get that far.